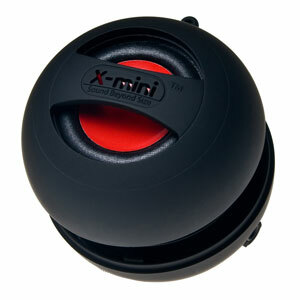 X-mini II is the perfect audio enhancement for any music or video player device. 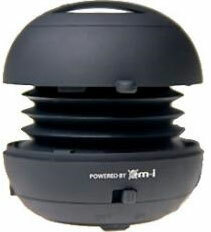 I was surprised quite how good the sound depth and breadth quality is from this remarkable speaker. This is definitely on my Christmas list and will be in everyone else' stockings. A really cool speaker. A noticeably improved sound from the phones speaker. 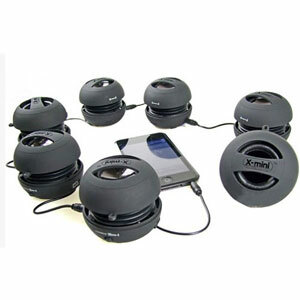 Be it for individual or group entertainment, the X-mini II is the perfect audio enhancement device for any music or video player. Not only does the new design deliver unsurpassed audio quality, it now performs for even longer. Three times the capacity of its predecessor, the new X-mini II comes with a new built-in high capacity rechargeable battery capable of sustained output for 11 hours of nonstop audio pleasure. The new 40mm driver on the X-Mii II speaker delivers an a richer and fuller sound, resulting in superior end-user experience from its innovative capsule design. One single charge provides you with 11 hours of continuous playback, so you can relax to your music without worrying about it cutting out. 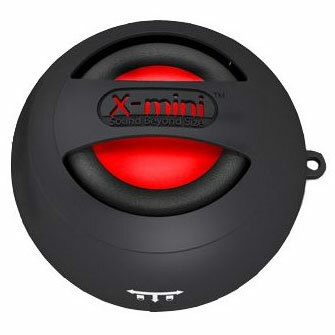 This unique X-Mini II speaker includes a "Buddy Jack" system, which allows you to connect one X-Mini II to another and another and another and so on. This means you can complete an almost never-ending "Daisy Chain". 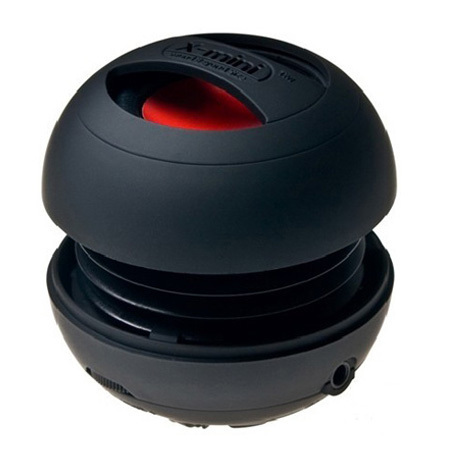 This thereby creates a self-powered bass-enhanced portable speaker system. With this new feature you can now combine your X-mini II together with your friends to hold a spontaneous party anywhere you go. This built-in 3.5mm audio connection cable means there is no need to waste time running around looking for your cables. What's more when the speaker isn't in use, the cable slips away neatly underneath the speaker to eliminate cumbersome audio cables dangling from the speaker - for a cleaner and sleeker look. With the X-Mini logo embossed on to the body of this silver speaker, you can be sure you're receiving a top quality product. Please Note: Some phones may require a separate 3.5mm audio adapter (sold separately).